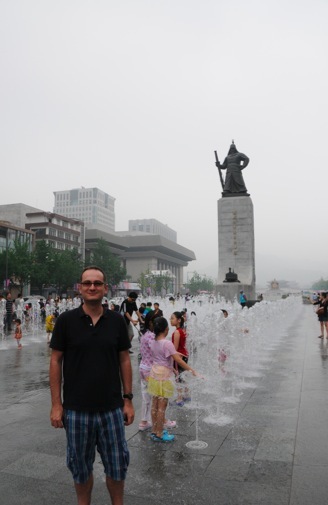 On our way to the Gyeongbokgung Palace you have to walk through a big street – and in the middle of the street are different statues, but more importantly water fountains. 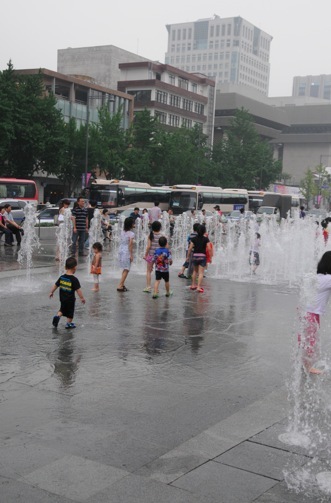 As it was a hot day, lots of children were playing in the water fountains. As always, children are attracted to water, and it was great fun for us, to watch them play. 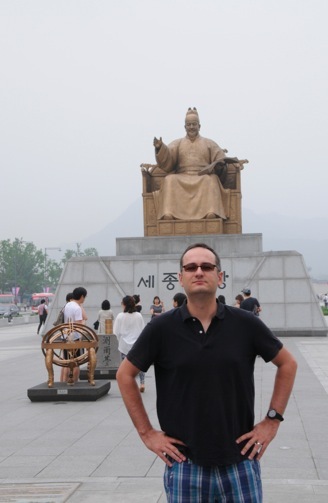 … Other statues are from Korean kings and emperors. All in all a nice walk to the palace, a little like walking through the Pall Mall in London, but with a different scenery. 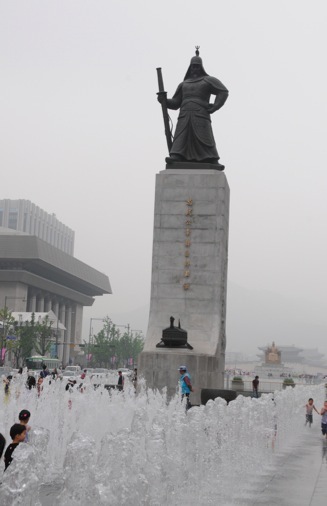 Er… that’s not Confucius, it’s actually an Admiral from the Korean Navy some 100-200 years ago. Thanks for pointing this out – I was trying to find out more info online (and clearly failed!) as my guide book lacked this detail too! 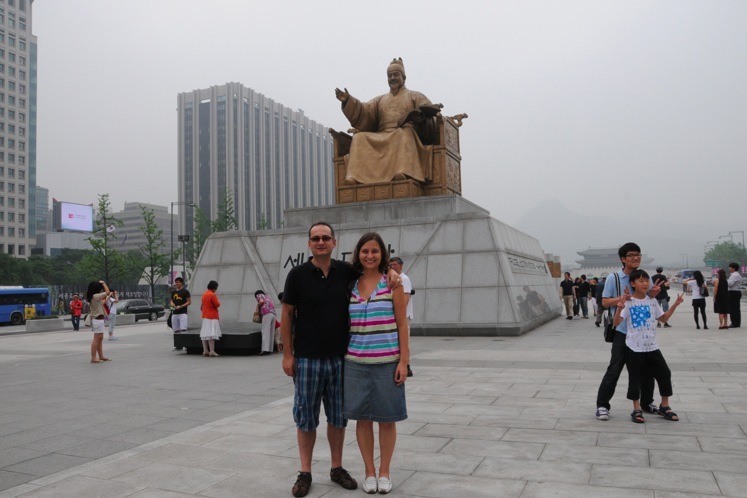 Thanks for sharing – I just visited your blog too! Like it!